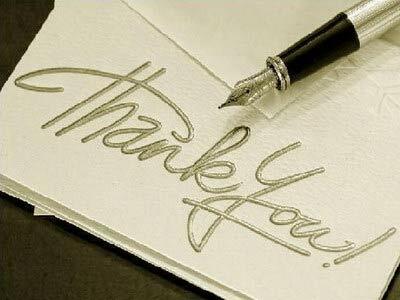 Simply saying "thank you" may benefit both the recipient and the person who express gratitude, according to the results of studies conducted by researchers at Florida State University in Tallahassee. The studies, published in the latest issue of Psychological Science, found that saying "thank you" strengthens relationships by causing the person expressing thanks to feel more responsible for the recipient& #39;s welfare. To understand how expressing gratitude helps strengthen relationships, the researchers conducted three different studies. In one study, 137 college students completed a survey regarding how often they expressed gratitude to a friend or partner. Results showed that gratitude was positively linked with the person& #39;s perception of the "communal" strength. In another study involving 218 college students, expressing gratitude found the expresser& #39;s perception of the relationship& #39;s strength over time was boosted. In the third study, 75 men and women were randomly assigned to one of four groups. Over a three-week period, one group expressed gratitude to a friend; another thought grateful thoughts about a friend, while a third thought about daily activities and a fourth had positive interactions with a friend. Those who expressed gratitude reported stronger relationships at the end of study than those in the other groups. Gratitude, when expressed, boosted communal strength, according to the study& #39;s lead author, Nathaniel Lambert, a research associate at the University. He said the findings make sense because "when you express gratitude to someone, you are focusing on the good things that person has done for you," he said. "It makes you see them in a more positive light and helps you to focus on their good traits." Lambert said his research team tested the idea that: "The person doing the thanking comes to perceive the relationship as more communal, to see the person as more worthwhile to make a sacrifice for, to go the extra mile to help out". Although the studies only looked at the people expressing gratitude, Lambert speculated that, "those who are being thanked will often feel an urge to reciprocate. They will want to express their gratitude back. It can become kind of an upward spiral."